Tell us in brief about your company and core competencies? 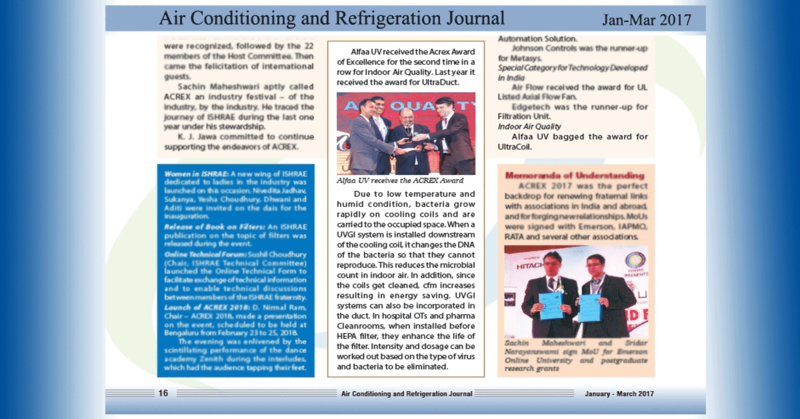 Alfaa UV specializes in the design, manufacture and sale of a complete range of UV air & UV water purification systems, and is the leader in industrial UV in India. It is one of the few companies in the world today which is totally focused on harnessing environmentally friendly ultraviolet technology to solve challenging environmental problems. Alfaa UV also holds the distinction of being the No. 1 manufacturer of Stainless Steel UV water purification systems in India. 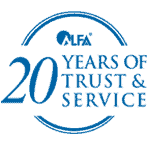 In 2001, Alfaa earned the certification of ISO 9001, an internationally recognized model for quality assurance in design, development, production, installation and service, being the first water purification company in India to be awarded this certification. Other firsts include introduction of an online validation tool (monitoring device), validation by CFD technology, and introduction of UV for swimming pools, disinfection units for air in HVAC Systems, and UV for recycling and reuse of waste water. Could you provide us insight about the USP of your products/solutions offered? UV is a special subject and we have 20 years of experience in this technology and its applications in water and air disinfection. We understand UV. Rather than create products with a one size fit all approach, our solutions have been tailored around the needs of a particular industry/segment. We believe in Listening, Learning and then Leveraging. This has been a constant process at Alfaa UV. We have created products and solutions for various applications of UV: drinking water, process water, wastewater, swimming pool disinfection, air disinfection. Our commitment to the customer and after sales service record has also been impressive. These have been our USPs. What can be the size of the water and wastewater treatment segment in India? Our understanding is that the water and wastewater segment is expected to be around Rs 22,000 crore by 2018. 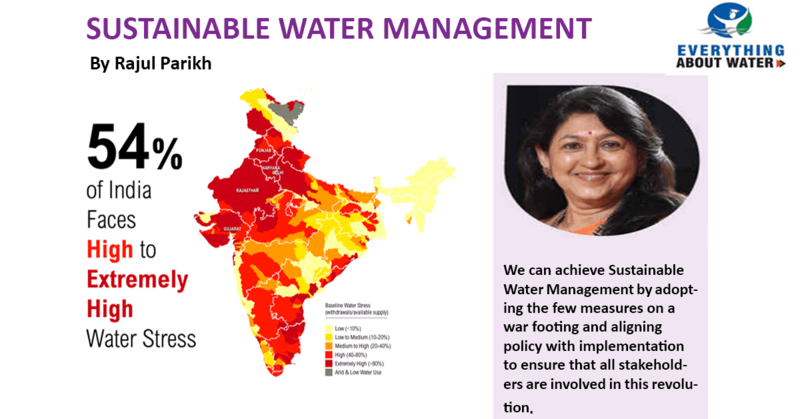 What needs to be done by all the stakeholders to ensure the optimum use of the scarce water resources? Government regulations on waste water treatment and reuse need to be tighter and better implemented. 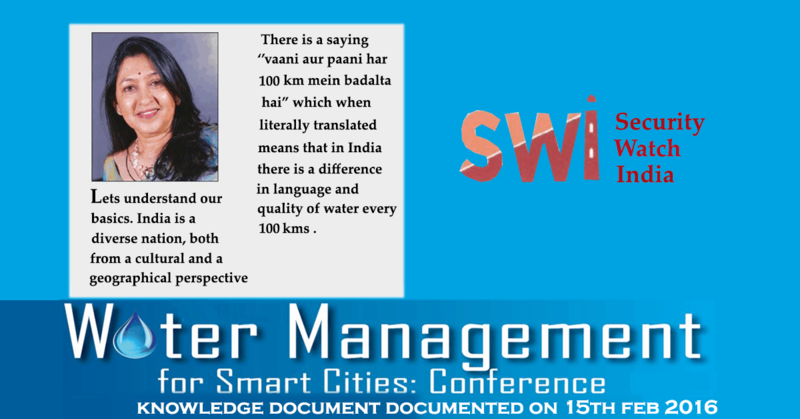 Urban water utilities need to cut down their non revenue water (NRW) and unaccounted for water (UFW) by “smart “interventions like sensors and meters. Pricing of water should be such that there is an incentive to use recycled water, for large water users. River cleanup and restoring river health is crucial. Watershed management and rain water harvesting to be done on a widespread scale in rural areas to increase water available for agriculture. Manufacturers of water purification products must innovate with new technologies to reduce water wastages. And finally, the consumer must not only be sensitized to the problem at large, but also be given incentives for water conservation practices, and penalized for wastage. What kind of opportunities do you see in the next five years for your company in the water segment? UV is a powerful disinfectant, and its effectiveness in purifying water is well known and time tested. 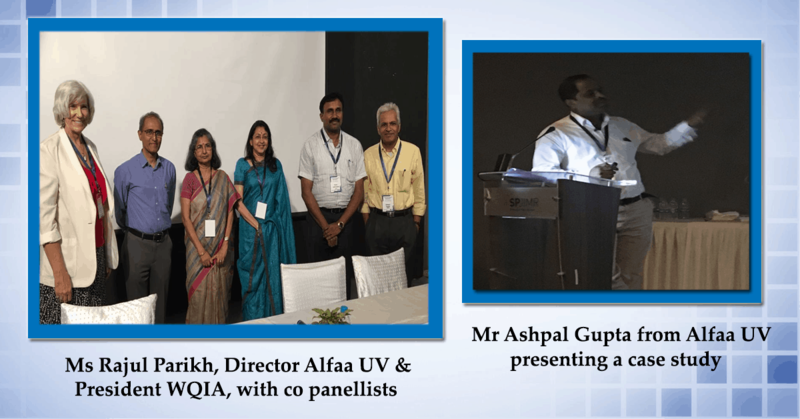 Currently, UV is being used extensively for disinfection of drinking water. It’s a matter of time before traditional methods of disinfection (e.g. Chlorination) of wastewater are replaced by environmentally friendly UV water purification technology. 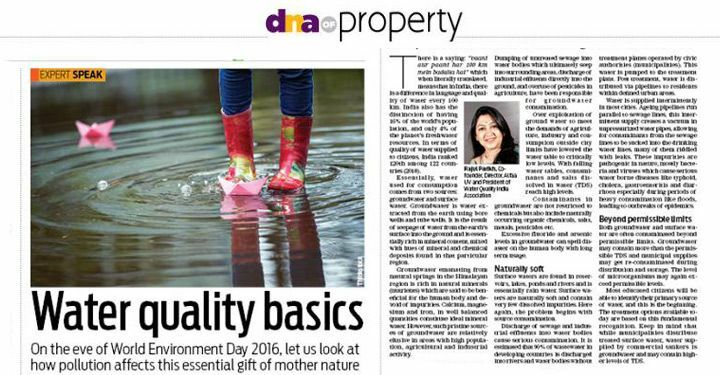 Swachch Bharat and Namami Gange campaigns have evoked interest in UV at the industry and municipal level. 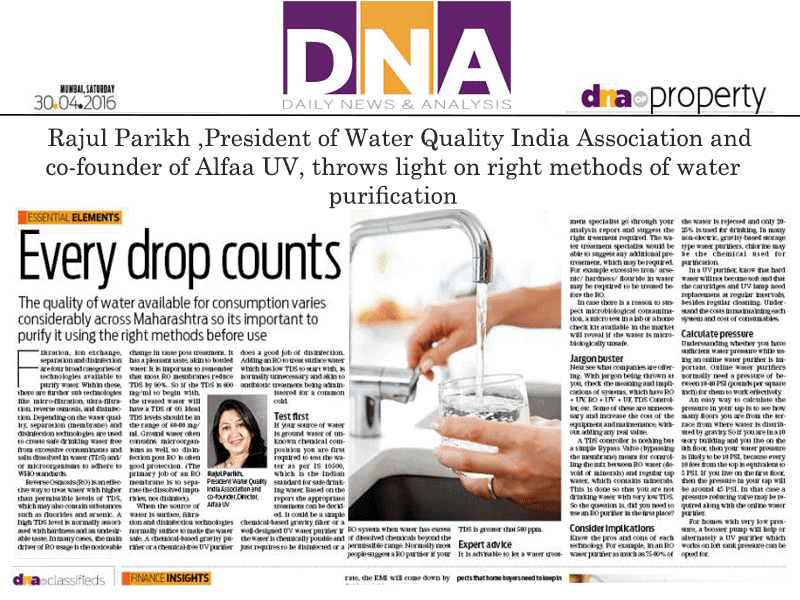 As industry leaders, Alfaa UV is poised to ride this wave and play a role in clean up of river bodies and encourage the use of recycled water, in a move towards conserving this precious resource.